2 of 27 - Living area / entrance. 4 of 27 - Large main bedroom. 5 of 27 - Very spacious en-suite with twin wash basins. 6 of 27 - Separate toilet. 7 of 27 - Main bathroom with corner bath and separate shower. 8 of 27 - Good sized 2nd bedroom. 11 of 27 - Open kitchen. 12 of 27 - Tiled lounge. 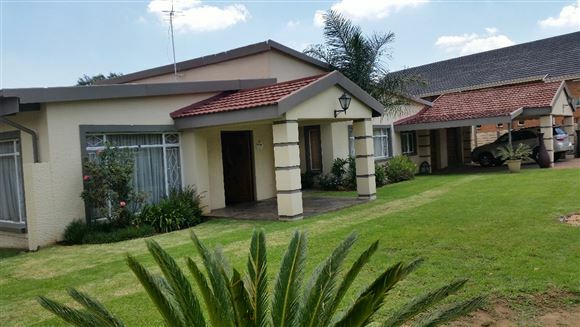 13 of 27 - Fully equipped lapa and immaculate pool. 14 of 27 - Laundry rooms. 15 of 27 - Patio. 19 of 27 - Bouma.